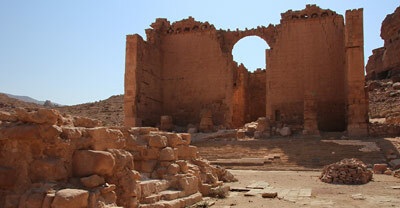 At the end of the Colonnaded Street, north from the monumental gate, you’ll see the Temple of the Winged Lions. 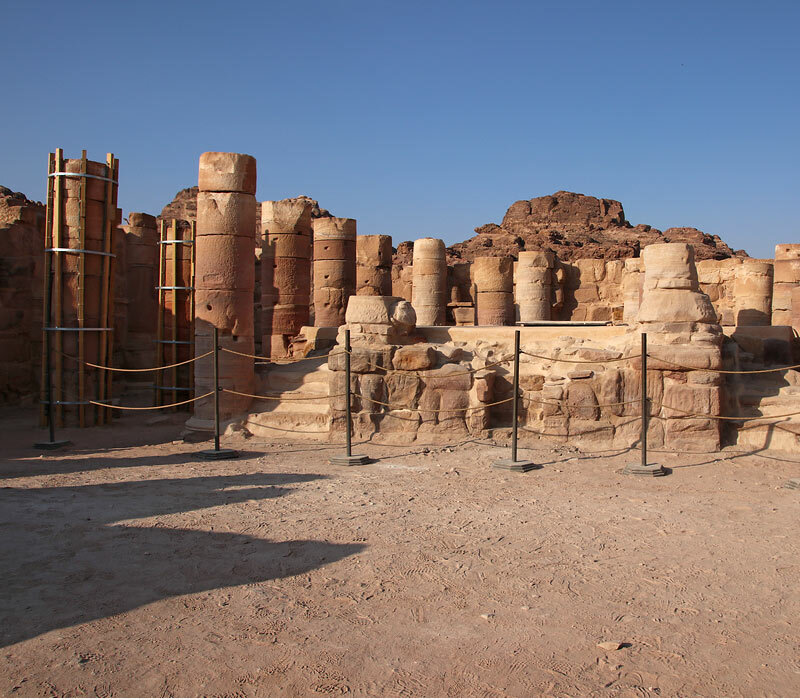 This sacred complex, thought to have been built by the Nabataeans during the first century AD, with an ascending staircase and a grand entrance flanked by columns, has an inner cultic chamber with a raised podium. The columns around it were adorned with unique “winged lion” capitals that give the sanctuary its name. An inscribed limestone plaque with a stylized female face, discovered on site, gives reasons to assume that the object of worship was a goddess, perhaps one of the most important Nabataean deities, Al 'Uzza. Flanking aisles with columns created a narrow corridor around which the podium could be circumambulated in ritual procession, while the inner walls of the chamber, painted in vibrant colors and adorned with elaborate moldings, featured shallow niches for the display of objects and gifts offered to the goddess. 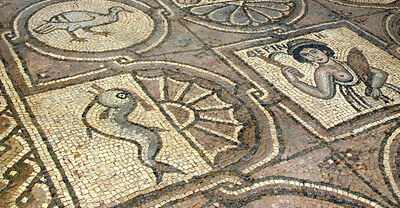 A visual tour through ancient Petra in 15 chapters, with a wealth of photos and information, and interactive maps.